SHELTON, CT (May 24, 2017) – Edgewell Personal Care Company (NYSE: EPC) today announced the launch of the Company’s new direct-to-consumer website, SchickHydro.com. SchickHydro.com will provide consumers with increased choice, value, innovation and now added convenience to improve their overall shaving experience. 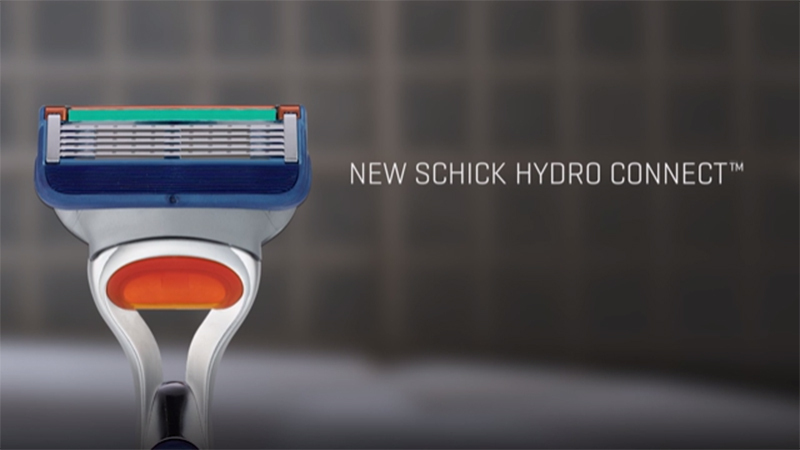 Today’s announcement also extends consumer choice in Men’s Systems to an entirely new level, with the launch of Schick Hydro Connect – the next evolution in the brand’s razor franchise designed to fit Gillette® Fusion® and Mach3®† handles***. The first-of-its-kind branded refill will initially be available exclusively on SchickHydro.com (in the U.S.). 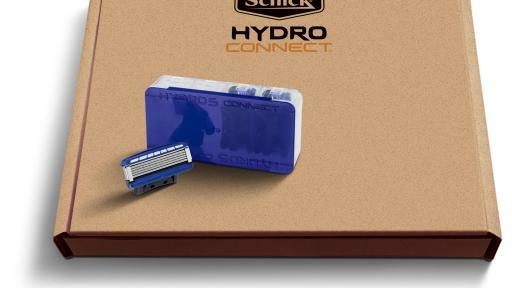 SchickHydro.com lets consumers shop their way, making Schick Hydro® branded refills and handles available through a convenient shave plan or an easy one-time order. The subscription shave plan lets consumers pick their preferred product, blade count, number of refills and frequency of delivery while Schick® covers the cost of shipping and handling (excludes one-time purchases). And, if you need help finding ‘the one,’ the new site allows men to compare the different Schick Hydro and Schick Hydro Connect options. 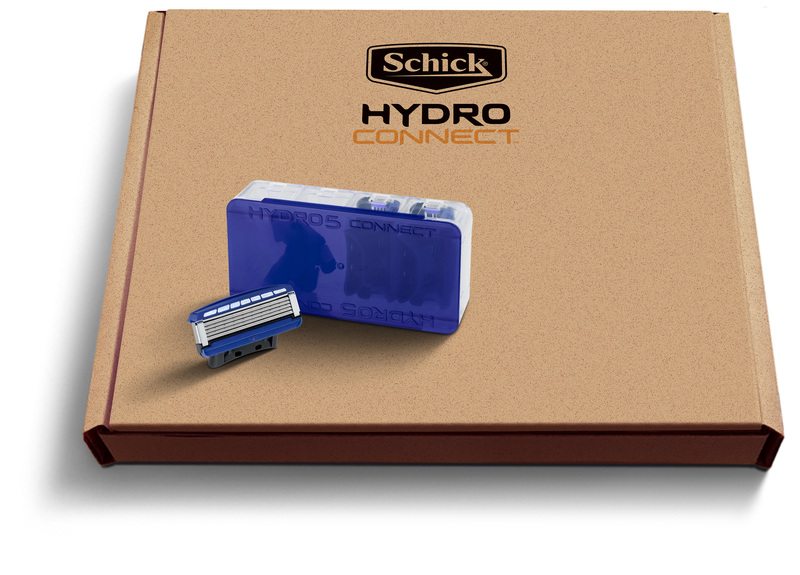 Since its debut in 2010, Schick Hydro has been a challenger brand, inspiring the shave category to constantly evolve, beginning with a shave providing instant lubricating protection and designed to help protect skin from irritation. SchickHydro.com takes the brand’s commitment to providing quality and value to new heights, giving consumers added flexibility to get a great shave and save money when they sign up for a shave plan. 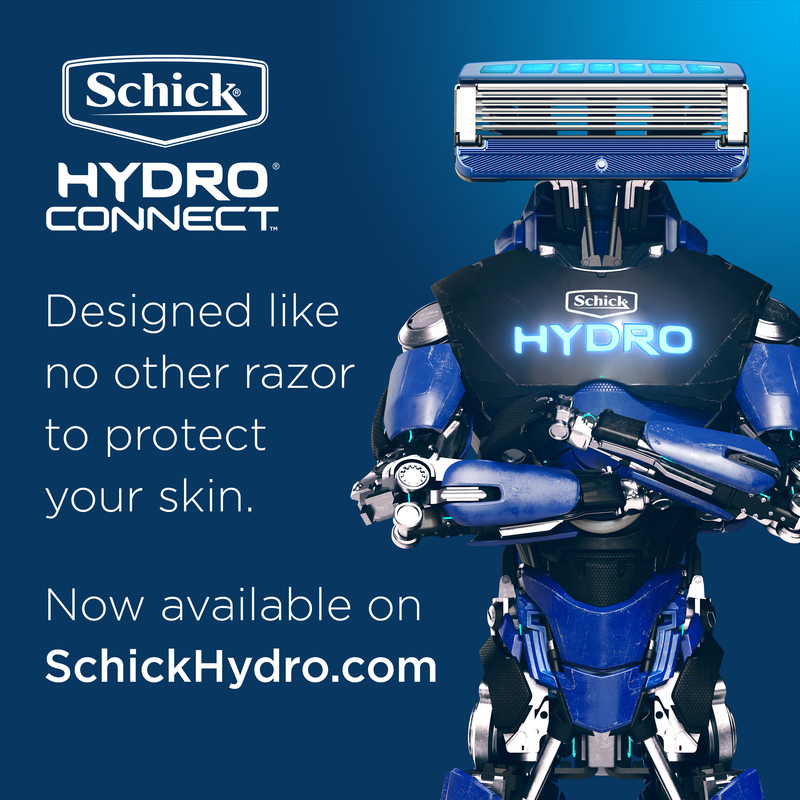 Schick Hydro Connect 5 blade refills fit the Gillette® Fusion®† handle***and cost less when you subscribe to a shave plan – pricing starts at just $10 for a 3 count of refills. Schick Hydro Connect 3 blade refills fit the Gillette® Mach®3† handle*** and cost less when you subscribe to a shave plan – pricing starts at just $7 for a 3 count of refills. Schick Hydro offers great total annual savings compared to a popular shave club. Priced at $38 for 15 refills, consumers can save up to 65 percent each year by switching from The Executive, 6-blade refill shave plan offered by a popular shave club, to the Schick Hydro 5 shave plan1. Schick Hydro is also available in 6 and 9-count refill packs at attractive pricing. For Gillette®† handles: For a limited time, the new site is offering a free Hydro Connect 3 or 5 blade refill to try (with free shipping) through the new site2. 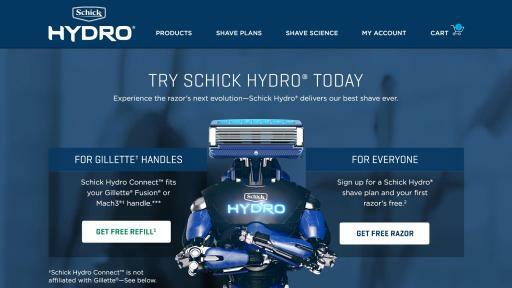 For everyone else: No matter what shave product you currently use, Schick Hydro will give you your first refill for free when you subscribe to a shave plan on the new site, SchickHydro.com2. Advanced Hydration – 7 Hydrating Gel Pools hydrates up to an hour after your shave. A Smooth Shave – Innovative Ultra Glide® blades feature a large guard bar that gently stretches skin for a smooth, close shave. Precision Trimming – Unlike the single edging blade on most refills, our precision trimmer is uniquely designed to let you use all five blades. For more information on Schick Hydro products including the Schick Hydro Connect refill, visit www.SchickHydro.com. 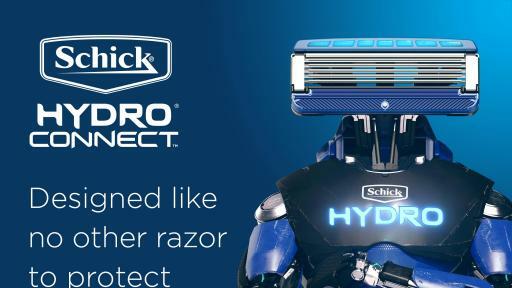 †Schick Hydro Connect™ is not manufactured or distributed by The Gillette Company LLC, owner of the registered marks Gillette®, Fusion® and Mach3®. ***Schick Hydro Connect 3 fits Mach3® handles. Schick Hydro Connect 5 fits Fusion® handles. Schick Hydrorefills are not compatible with Schick Hydro Connect handles. 1Based on a 15-ct Schick Hydro 5-blade annual refill subscription, using about one refill per month, compared to 4 refills per month annual refill subscription to a popular shave club, The Executive 6-blade refill plan. 2While supplies last. Limit one free offer per household. Edgewell Personal Care (NYSE:EPC) manufactures and markets a diverse range of personal care products in the wet shave, skin care, feminine care and infant care categories with well-established brand name products such as Schick® and Wilkinson Sword® men’s and women’s shaving systems and disposable razors; Edge® and Skintimate® shave preparations; Playtex®, Stayfree®, Carefree® and o.b.® feminine care products; Banana Boat® and Hawaiian Tropic® sun care products; Bulldog® skin care; Playtex® infant care products and gloves; Diaper Genie® and Litter Genie® disposal systems; and Wet Ones® moist wipes. ©2017 Edgewell.